3. 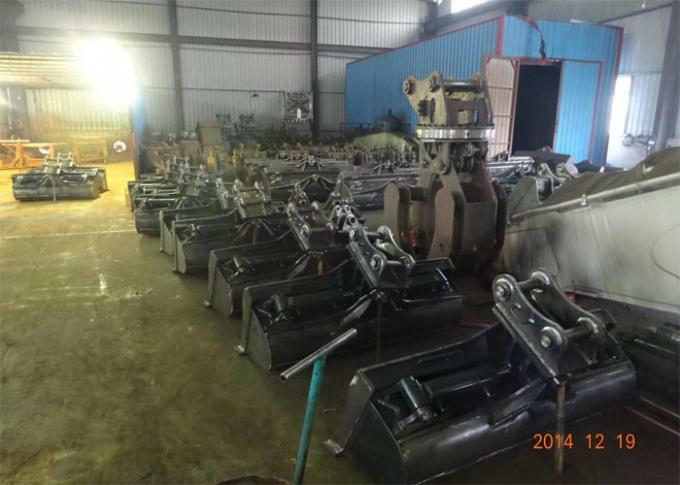 Material: Main body is Q345B, as customer request, cutting edge is Hardox450. 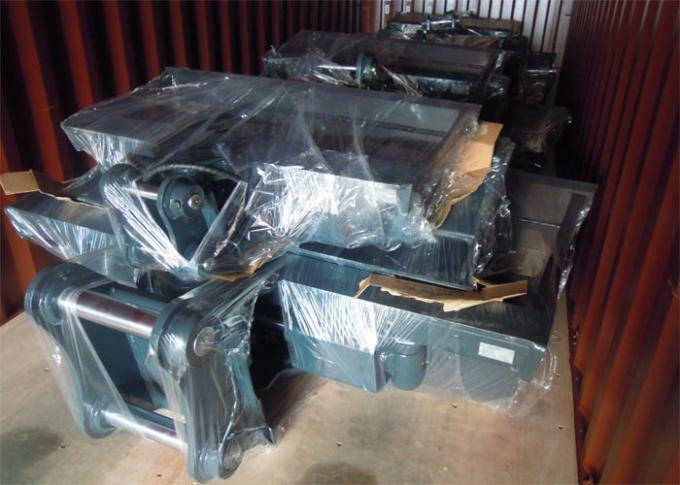 But if you needn't Hardox450 material, we also can make it by Q345B. 4. 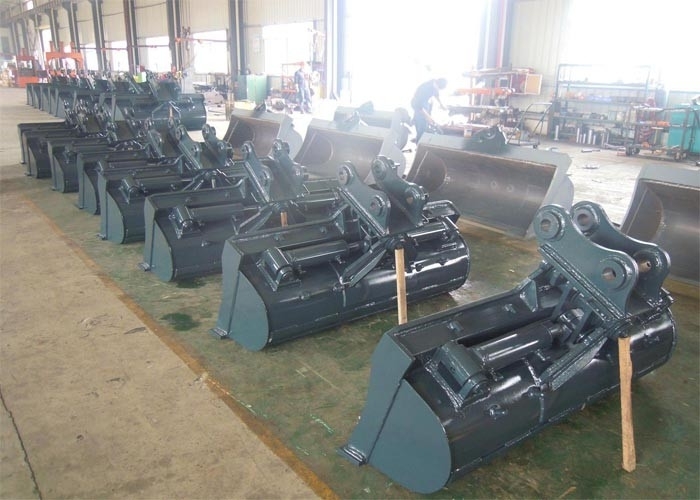 The cutting edge is single edge with Hardox450 material, but if you need, we also can make bolted cutting edge for you. 5. The width is as per customer request with 2000mm, the width is optional, if you want to make more wider or more shorter, just let me know. 7. For big machine over 6 ton excavator, the cylinder is 2 pcs, but if very small excavator, only 1 cylinder. 8. We usually use Hardox450 as the cutting edge of out tilt bucket,Hardox450 is high hardness steel. 9. We have cylinder protection guard for cylinder. The cylinder Max. suffer from stress is 32MPa. 10. All our pins is harden pins,and we prepare bushing for all pins,and each pin&bushing have grease seals. 12. 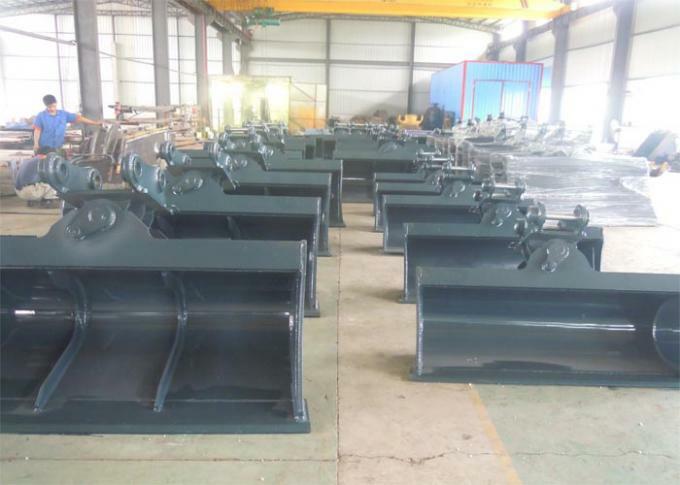 Every month, we have 2-3 container tilt bucket exported.